You must be a systems engineer to attend this course. You do not need to be a MIM DevTest developer. Refactored identity storage, resulting in a 500% improvement in Time Traveler and reporting performance. Additionally, version 4.1 can be configured to scan many more silos without suffering performance degradation. 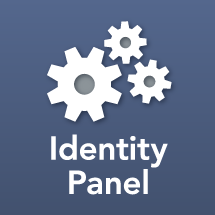 Introduction of Service Panel, a fully theme-able tool to expose a limited view of Identity Panel data to self-service end users, validate request fulfillment over time, and provide easy-to-use self-service action forms.